W.J.L.C. was established in 1986. 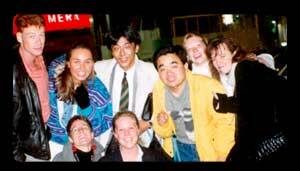 Since then we have been teaching all levels of Japanese to English speaking people. We also conduct a Japanese Language Teacher Training course for fluent Japanese speakers. Our teachers are all native Japanese and are able to speak English. Therefore if you have a question, your teacher can explain it in English. "Learning Japanese is a very rewarding experience."